Last week ended with the nation receiving some encouraging news: The economy had one its best quarters of growth. Month after month since October 2010, things have gotten better. Or have they? Readers of NPQ will find it no surprise that for millions of Americans, even those with full-time jobs, affordable housing is far away. While many nonprofits continue to work to ameliorate the human impact of this growing problem, there are few signs that the politics and policies that have allowed the problem to fester are changing. A report by the National Low-Income Housing Coalition, Out of Reach 2018, documented how widespread the problem is. In no state, metropolitan area, or county can a worker earning the federal minimum wage or prevailing state minimum wage afford a two-bedroom rental home at fair market rent by working a standard 40-hour week. In only 22 counties out of more than 3,000 counties nationwide can a full-time minimum wage worker afford a one-bedroom rental home at fair market rent. While federal policy may decrease construction of new units, HUD Secretary Ben Carson is also pushing to reduce funding for rent subsidies and has proposed increasing the rents paid by low-income renters. While telling Congress that he continues “to advocate for fiscal responsibility as well as compassion,” HUD Secretary Ben Carson has proposed raising the maximum rents paid by the poorest households in public housing to $150 a month from $50. According to the Times, Secretary Carson acknowledges the crisis in most of his speeches. 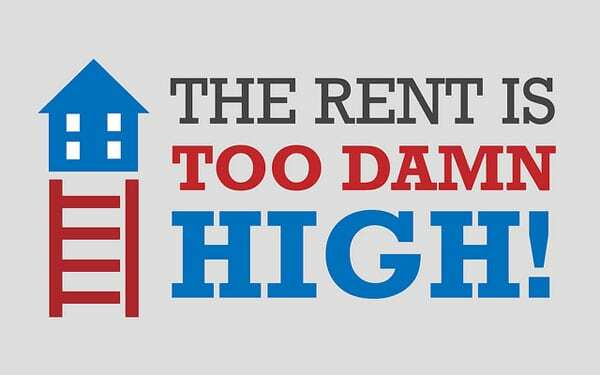 “Alarmingly high numbers of Americans continue to pay more than half of their incomes toward rent…many millions remain mired in poverty, rather than being guided on a path out of it.” He sees the cause as primarily one of red tape and bureaucracy holding the private market back from building new housing and keeping rents affordable. NPQ has covered many local responses to the affordable housing shortfall. Private foundations and corporations have recognized that the harm that shortages cause to the quality of life of their communities. The Chan Zuckerberg Initiative’s “efforts to increase affordable housing parallel the plans of Facebook, the source of CZI’s resources, to expand its corporate headquarters in Menlo Park, California. As announced last year, the expanded campus will include 1,500 residential units, with 225 being rented below market rates.” NPQ also has looked at how local government and organizations not normally in the housing business, like libraries, have become involved in increasing affordable housing options. There is a growing use of land trusts to empower nonprofits to protect the erosion of affordable housing, too.